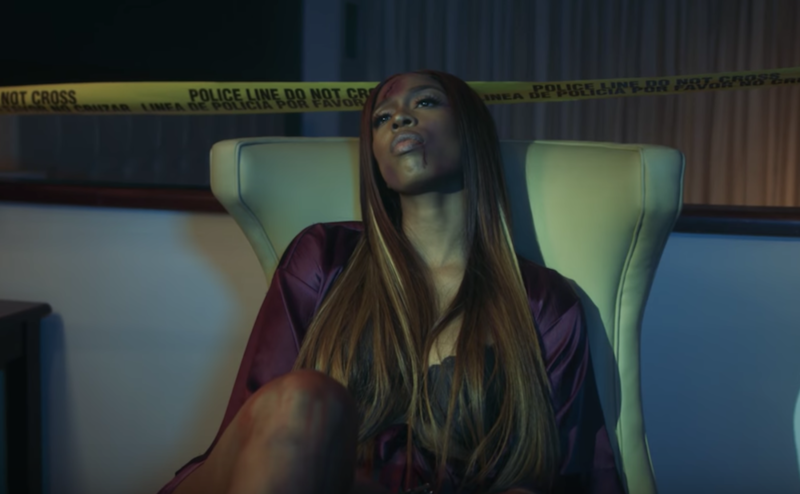 Kash Doll has been steadily rising the ranks of hip-hop over the last few years. Videos for her singles like “Ice Me Out”, “For Everybody”, and “Check” have racked up millions of hits, while she’s also received co-signs from Drake, Meek Mill, Rick Ross, and others. But the Detroit MC has been hustling since long before that, earning her first big bucks as a dancer. Her latest track, “Hustla”, harkens back to those days in a cautionary tale about the dark side of dancing for money. With a subtle and steady beat behind her, Kash raps a narrative like the hip-hop yarns of ol’. Here, a girl named Kelly serves as the protagonist, a dancer who gets caught up with a stack-heavy shiner named Dre. When Dre comes up with a scheme to double their bank by setting up another hustler, things take a devastating turn. Watch the (slightly not safe for work) Nimi Hendrix-directed video below.